My last week in Malawi’s capital just started off with several meetings set up with MUD Africa’s partners. I had first the opportunity to meet UN-Habitat Programme Manager Mr. John Chome in Lilongwe’s UN offices. We talked a great deal about the next World Habitat Day in October. As it did over the five past years, LUPPEN will take part in the event to showcase its activities to the public and other organisations. 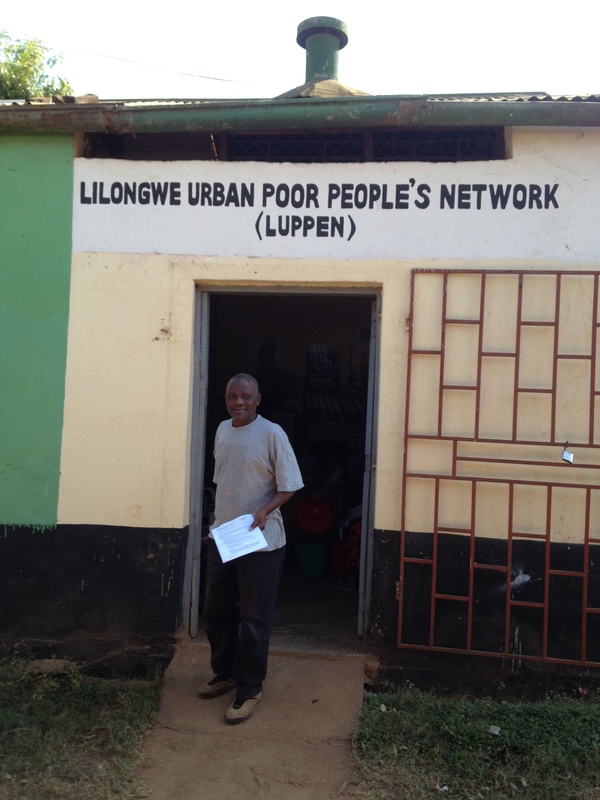 It’s also important to note that LUPPEN has been deeply involved in Malawi Urban Forums which bring together politicians, government’s departments, NGOs, academia and other both public and private organisations to discuss urban-related issues, policies and share experience and knowledge about urban planning. As a well-implemented local network and thanks to its wide field experience with the urban poor, LUPPEN has always been a valuable member of the forum. Then, I met Mrs. Loma Tema from Women’s Legal Resources Centre (WOLREC), a local organisation aiming at defending social, legal, political and economic justice for women. As WOLREC and MUD Africa share the same goal to empower women, both organisations established a partnership a couple of years ago within the framework of the trainings arranged by MUD Africa. With regard to the ELRFA project, we mainly discussed the upcoming long-awaited Land Registration Law intending to strengthen women’s land rights. If the law is enacted by the Parliament in January 2015, land registration will have to be done in the name of both husband and wife unlike at present. 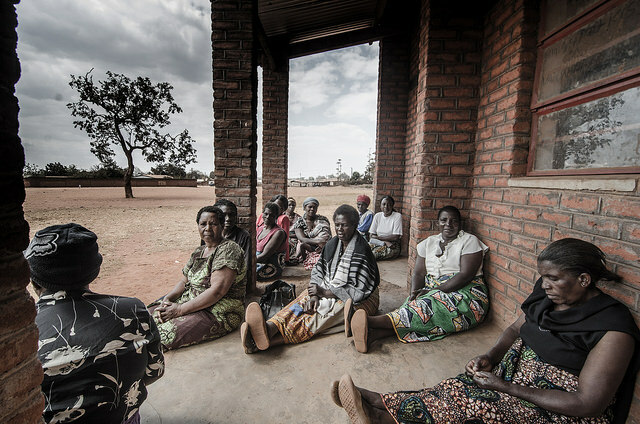 It would be a major step forward for women in Malawi although it’ll be a tough challenge to apply the law in informal settlements where authority mainly boils down to the presence of a local chief. Apart from that, the rest of the week is devoted to compiling the final Equal Land Rights For All 2013 project report almost completed! The whole LUPPEN family sends you their regards from Lilongwe! / Pierre. LUPPEN’s coordinator Mr. Mamba in front of the office in area 4. 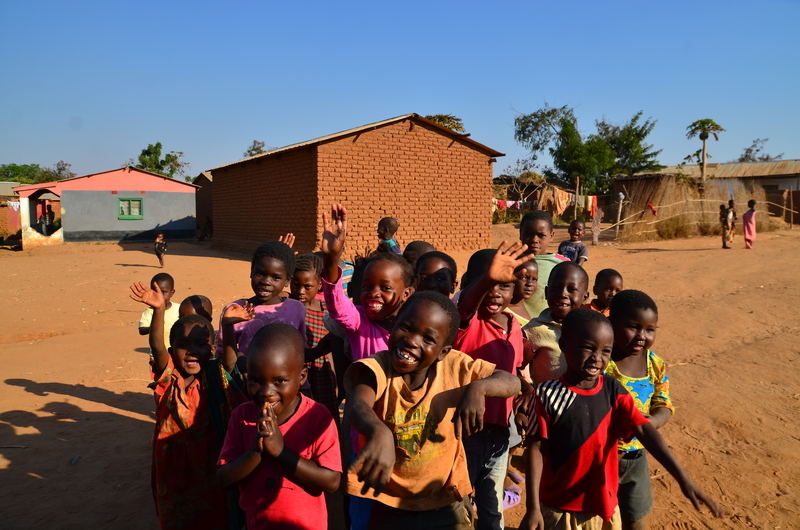 Last friday was rich of lesson by visiting two informal settlements in the southwestern edge of Lilongwe. Several aspects of the challenges the project is facing were pointed out. After talking with chiefs and project’s participants, it was found that registration processes might bring some new challenges. As lots of people live in informal settlements without paying city rates, registration with the city council is difficult, as these city rates have to be paid from the beginning. Indeed, as many women have been living in their houses for several decades, they cannot afford the regularisation fees. Another solution is to register with the local chief who remains the main authority in these informal settlements. However this is raising serious challenges with regard to urban governance. We decided then with LUPPEN to carry out a study to know exactly the city rates per month in each area. However, the situation is not as gloomy as it seems as some women still managed to pay regularisation fees but these challenges undeniably show even more the importance of MUD Africa’s work! / Pierre. Four new settlements have been visited in Area 25A and Area 49. Once again, we witnessed encouraging results from the Equal Land Rights For All 2013 project and we were told really interesting stories from women trying to get their land registered. These stories provided significant aspects to be considered for the project. Thank to the interviews, we can understand the main challenges women are facing through the registration process. I did my best to tell these stories through the photographic work that will be completed by the end of this week and exhibited during the Run4Rights 2014. Still with regard to the outcomes, we are currently carrying out a study aiming at providing a more accurate measure of the project’s impacts: local chiefs from the 33 settlements where LUPPEN has members have been asked to report the number of women who have successfully registered their land with the chief or the City Council. Cases in process will also be reported. It is an ambitious and difficult task given the laziness of some chiefs… but it would definitely help get a better overview of the full impact. In what was a week of hectic activity, I visited with LUPPEN and Action Aid three settlements in Lilongwe. Some achievements of the Equal Land Rights For All project have been witnessed which is highly encouraging for the rest! In Makatani, a small poor settlement, we saw how well are the trainings working: several women have been taught about land rights by trainers who attended the trainings of trainers (TOT) led by MUD Africa. Likewise, we went back to Kauma, a settlement of 50,000 and in Area/36 where some women have successfully registered their houses with the local chiefs. 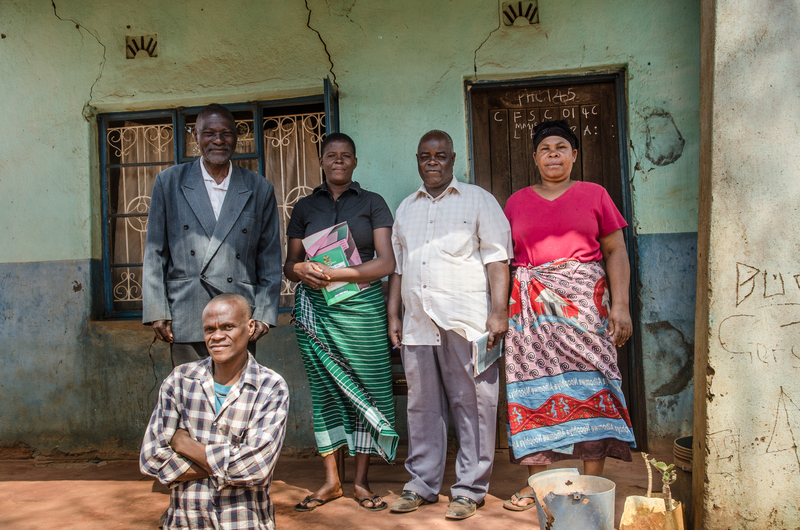 In each case the knowledge has then been widely shared within the community; some registrations are in progress, which is good news though the soaring urbanisation of Lilongwe shows how tough the challenge is. I have also had the opportunity to attend the second Urban_net forum at Action Aid’s office where Water Mission International and Sunny Money (solar lights) made two interesting presentations tackling important urban issues. 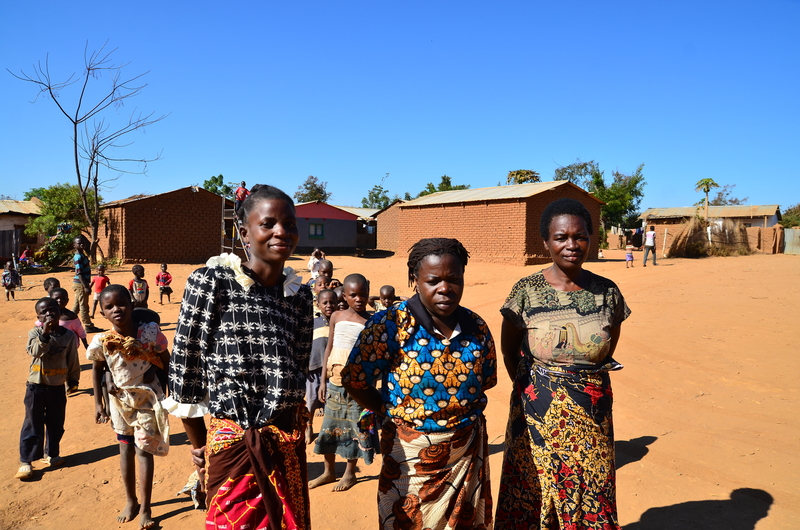 From left to right: Esta John, Matthew Kamitengo and Biata Kamsikhu, three women who have been taught about land rights. Landed in the warm heart of Africa! Yesterday, I met Mr. Mamba, LUPPEN’s coordinator and some other members of the network. After a warm welcome, we started to look into the work to do for the Equal Land Rights For All 2013 project report and some ideas about the photographic work came up! A schedule will be set up pretty soon to see in different areas the achievements done thank to the project. Then this morning, I met Hanna Chimangire – Action Aid Program Coordinator for Malawi – we talked a great deal about the NGO’s implication in the country and especially about women and land-related issues. She also acknowledges the significant importance of the Equal Land Rights For All project and the progress made in that field. Cheers from Lilongwe! / Pierre.